'Youngest In Charge' is the debut album from Special Ed. The Brooklyn MC was just 17-years old when he released the album on this day in 1989. Featuring the classic singles 'I Got It Made' and 'I'm The Magnificent,' plus 'Think About It' and 'Club Scene,' the album was produced by Howie Tee with DJ Akshun on the cuts. The more popular version ('The Magnificent Remix') for 'I'm The Magnificent' was not the version they used for the video, nor was it included on 'Youngest In Charge,' but they did officially release it the following year on his sophomore album, 'Legal.' Either way, these early songs were go-to records in the crates for parties and are still anthems today. The album was originally released on Profile Records, but a Deluxe version was re-issued in 2015 by Get On Down. 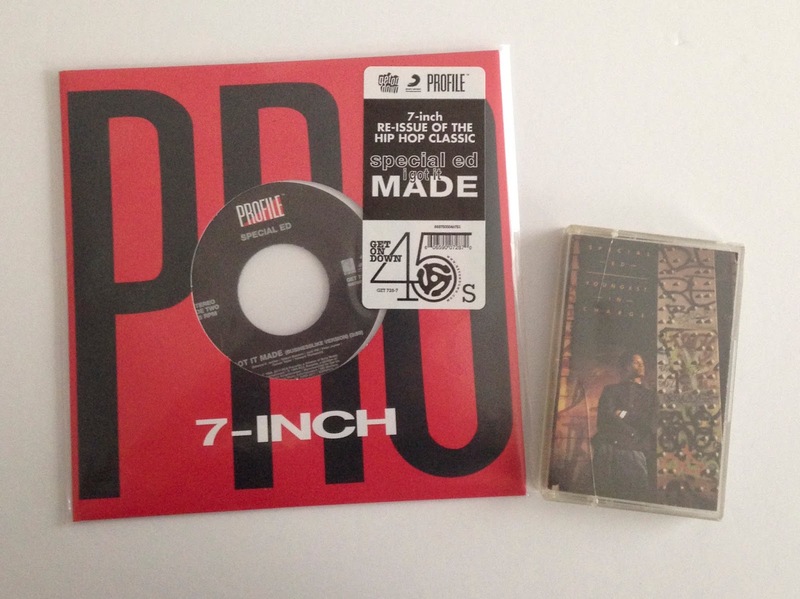 Unfortunately, I didn't cop the LP, but I did grab the 7" reissue of 'I Got It Made.' 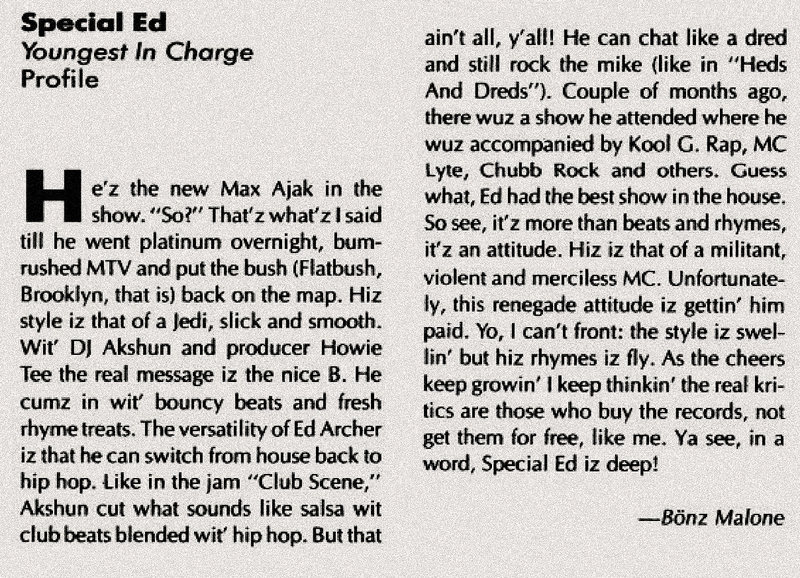 Also, today is Special Ed's Born Day, so big shout-out to him. Bonus: True Hip-Hop Stories by D-Nice is below.